Founded by three passionate and enterprising men in Antwerp: Paul Van de Velde, Vincent Haverbeke and Xavier Kegels in 1987, the name KIPLING was inspired by Rudyard KIPLING who wrote "The Jungle Book" and films such as “Out of Africa” and stands for the spirit of fun and adventure. The crinkle nylon was created the same year. It was a happy accident that during the dying process the materials overheated, leaving the nylon used in their design crinkled. Deciding to embrace the error, this textural effect has become a signature of KIPLING’s handbag designs and has been used in the functional and durable bags ever since. 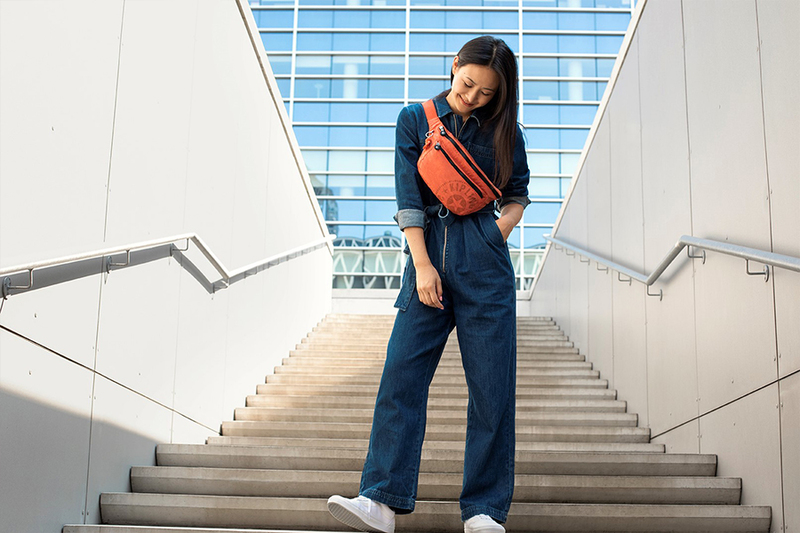 Armed with a strong brand, a powerful image, and an extensive range of fashionable, practical and high quality bags, KIPLING has been busy conquering the world over the last 30 years. 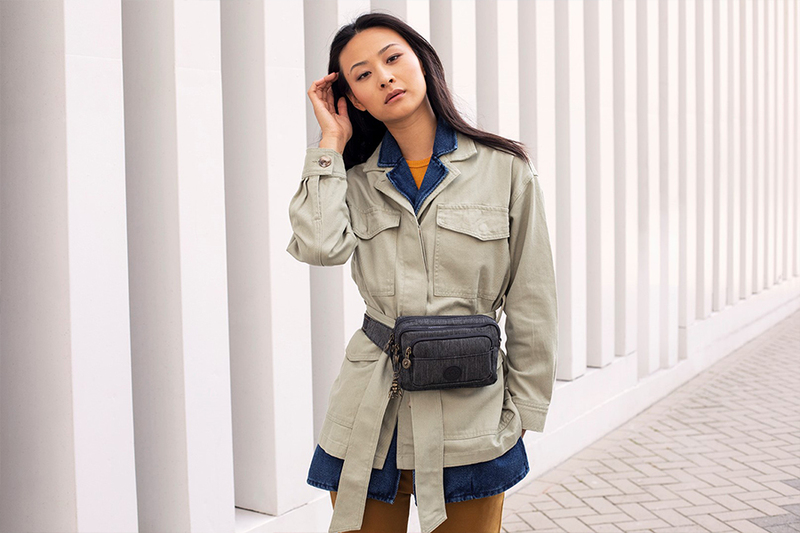 The brand was established in Antwerp, Belgium and is part of the ‘Outdoor’ group of the VF Corporation, a world player famous for its well-known brands, such as EASTPAK, Jansport, Napapijri, Reef, Vans, The North Face, Lee, Wrangler and Timberland. KIPLING is now sold in over 60 countries around the world and is part of the lives of more than 35 million women throughout the world. In 2017, the brand celebrates 30 years of stylish functionality. To ensure that a playful spirit always shone through, the loveable furry monkey figure that accompanies each KIPLING piece was born in 1987. It soon becomes a symbol of fun, happiness and the enjoyment of life. The manner in which the monkey hangs from trees with its tail is suggestive of the way a handbag hangs from a woman's shoulder. Each season up to 80 unique monkeys in different colours are released, and each collection has its very own unique monkey named after a KIPLING employee somewhere in the world, making each one a covetable collectible. 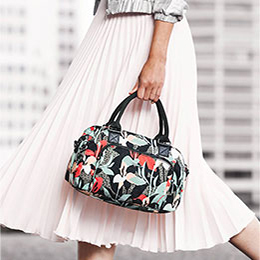 KIPLING covers over 60 countries in the world, and there are over 650 KIPLING stores worldwide. 6 million bags are sold each year; 23 bags sold every minute. 35 million women have KIPLING bags. KIPLING covers 15 countries and cities in Asia, namely China, Hong Kong, Taiwan, Singapore, Japan, Korea, Thailand, Indonesia, Vietnam, Philippines, Malaysia, Austr`alia, India, Brunei, Myanmar and Pakistan. By end of 2016, there were over 700 KIPLING stores in Asia; by end of 2017, the stores number will exceed 800. In Asia, 7 KIPLING bags sold per minute.